Your home septic system is comprised of a wide array of parts and piping, and is integral to the safe and effective removal of waste and graywater from your home. At Service Plus our team is dedicated to offering complete and thorough septic system services, including comprehensive septic pump repair, maintenance, and replacement! Our plumbing service specialists have been offering leading service and top-quality plumbing parts to clients in Greater Indianapolis for years and years. We’re the team you can count on for services that get the job done and done well. Need septic pump service in Indiana? Then you need to look no further—you found exactly what you need. For septic tank and septic pump services contact our plumbing service experts online! Prefer a phone call? Reach us any time by dialing (317) 434-2627! Your septic pump is pivotal to your home independent sewage and septic system. When a problem crops up it can mean a fast and often very stressful series of issues in your home, each of which will only worsen given any amount of time. That’s why our septic pump and plumbing service team is on hand and ready to help any time, any day to bring you service. Septic pumps, just like any machine, need consistent care in order to keep up with your demands. Our plumbing maintenance crew can offer the thorough service your system needs in order to keep working at its best! Our maintenance service is completely thorough, working to preserve the effectiveness of your pump system via pump checks, vent inspection, operation and performance evaluation, and more. Looking for a team of professionals that put your needs first? Contact Service Plus now to set a date for your service! 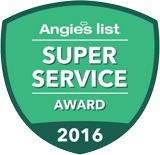 With our certified plumbing team at your side you’ve guaranteed service you can trust from a team who care. Contact us online when you need to schedule plumbing services in Fishers!